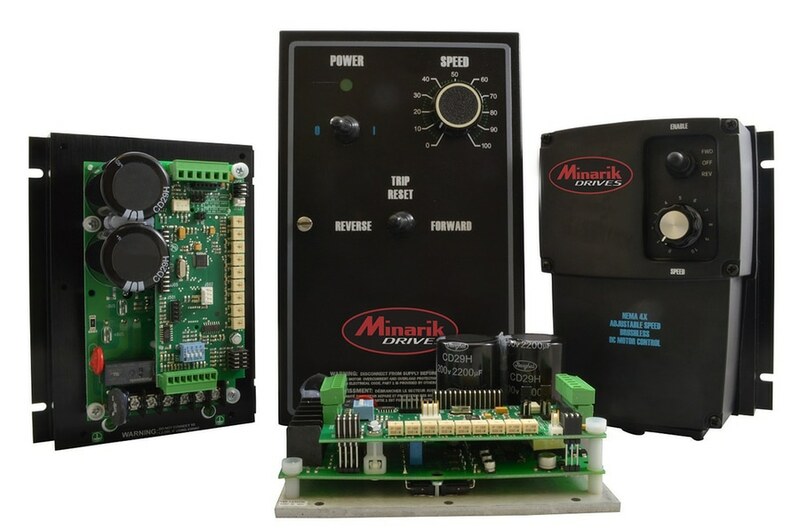 Minarik Drives has introduced the MDBL Series, a new family of versatile, feature-rich, configurable controls for brushless DC motors. 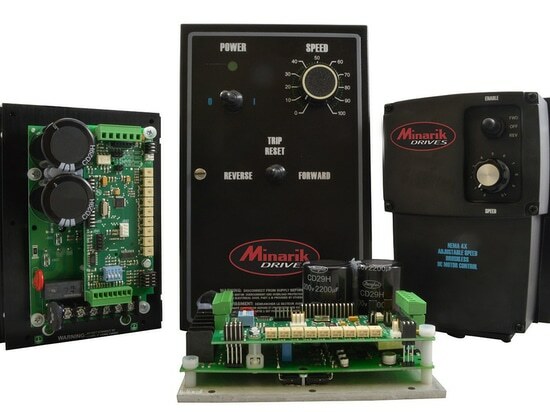 MDBL drives control motors ranging from 90 to 280 VDC, up to 5 amps/1.5 HP, using either 115 VAC or 230 VAC line sources. On-board trim pots allow operators to quickly set minimum/maximum speeds, acceleration/deceleration rates, motoring and regening current limits, as well as the proportional and integral feedback gains.